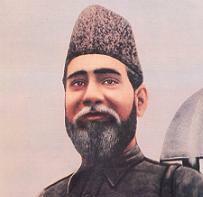 Inayatullah Khan (famously known as Allama Mashriqi) and Mustafa Kemal Ataturk were contemporaries who areregarded as two of the great leaders of the 20thcentury. Throughout his lifetime, Mashriqi expressed a fondness for Turkey and Ataturk. On Ataturk’s 78th death anniversary, it is worth remembering how these two leaders were connected. Both Ataturk and Mashriqiwere born in the 1880s,Mashriqi in Amritsar (British India) and Ataturk in Thessaloniki, Greece.Mashriqi’s fondness for Turkey and Ataturk stemmed from Mashriqi’s father, Khan Ata Mohammad Khan (who was also a recipient of the Turkish medal “Mejidie”). Khan Ata owned a well-known and highly regardednewspaper called Vakil (started in 1895 from Amritsar), which included reports on the Turkish Ottomans (among other subjects).According to the book entitled Indian Muslims and Partition of India, “...enthusiasm for Turkey had been created by…the Vakil...”Vakil also had a Book Depot, which issued publications related to developments in Ottoman Turkey.Mashriqi’s father’s affinity for Turkey also influenced his own views. Mashriqi’s affection for Turkey and Ataturk was evident from the early years of his life. As a student at the University of Cambridge, Mashriqi used to wear a Turkish Fez (hat).Then, in July of 1924, Mashriqi gifted his famous book, Tazkirah, to Ataturk. Later, in 1930, when Mashriqi launched the Khaksar Tehrik, his party’s flag was similar to the Turkish flag. Also, Mashriqi’s weekly journalAl-Islah (1934-1947) used to include information on Turkish political, military, and other activities.Ataturk is also mentioned in Mashriqi and the Khaksar Tehrik’s materials (e.g. Isharat and Tazkirah). In the 1930’s, Ataturk’s photos also appeared in the Khaksar Tehrik’s historic photo album, along with photos of Turkish soldiers. And on December 30, 1935, the Khaksars, in the presence of Mashriqi and other leaders, honored Ataturk with a salute at a grand Khaksar Camp in Delhi(Source: Al-Islah, January 10, 1936). As Mashriqi and Ataturk gained increasing prominence in their respective countries, the parallels between the two leaders became more apparent. Both made significant contributions in politics; Mashriqi created South Asia’s most disciplined (and largest) private army and led the freedom movement of the Indian sub-continent (now Bangladesh, India, and Pakistan).Meanwhile, Ataturk is recognized to have saved his country from complete disintegration to emerge as the founder of modern Turkey.Both leaders were bestowed with prestigious titles; Inayatullah Khan was given the title “Allama Mashriqi” (Wise Man of the East) by the famous Al-Azhar University (Islamic seat of learning) in Egypt, whereas Mustafa Kemal was given thetitle of “Ataturk”by the Grand National Assembly of Turkey. Along with their political activities, the two men also shared similarities in their general philosophies. Both fought for freedom and equality for all and believed in women’s active participation in nation building. Both advocated fordevelopments in science andindustrialization.And bothbelieved in freedomofreligion, regardless of one’s faith. Additionally, both did not support the Khilafat Movement. Mashriqi, while sympathetic to Turkey, considered the said movement to be highly disorganized (he predicted its failure). Ataturk’s lack of support for the movement is also evident from the fact that he refused to meet with its leaders. Despitetheir similarities, Mashriqi and Ataturk certainly did not agree on everything.Differences in their approaches and thought process can be better understood by reading Mashriqi’s speech to the International Caliphate Conference in Cairo in May of 1926 and his letter (with proposals) to Ataturk dated October 18, 1925. When Ataturk died on November 10, 1938, the Khaksar Tehrik flag at itsheadquarters (Idara-i-Aliya) was lowered to half-mast (from November 10 to November 20, 1938).And on November 20, 1938, the flag remained at half-mast for 6 six hours at Khaksar offices all over India.The front page of Al-Islah (November 18, 1938) was also dedicated to Ataturk, with condolence messages on behalf of Mashriqi and the Khaksar Tehrik for the fallen Turkish leader.